Tempered and annealed glass is used throughout the home. Glass tops can be used to protect furniture or work desks. Heavy glass (1/2") can be used as a floating table top in the dining room or kitchen. Glass cabinet fronts provide décor to kitchen, dining rooms or bar areas. Glass shelves in a butler pantry, bar area or other built in cabinets can provide clean lines and an open space concept. Recessed or puck cabinet lighting enhances the features of glass shelving. Glass wall systems create a unique and clean way to divide rooms. 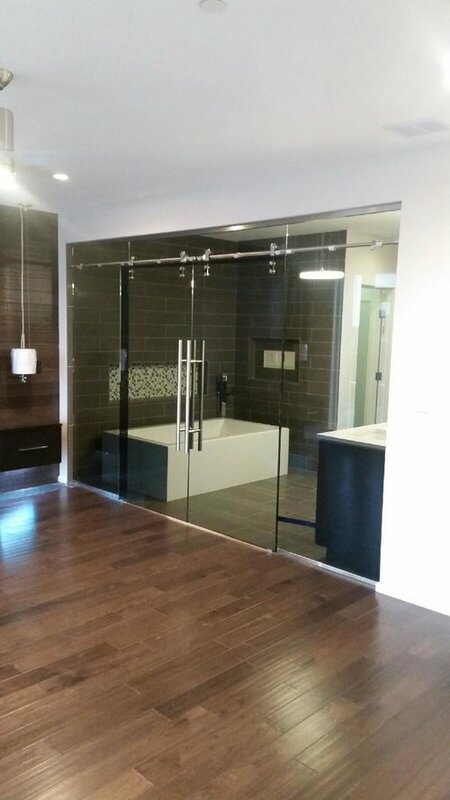 The glass panels are custom fit to your opening and can utilize hardware to create your desired look. In addition to clear glass, you can utilize tinted or patterned glass to enhance privacy. Thermal pane glass creates a window to a wine cellar while maintaining the required climate control. These glass panels can be a floor to ceiling application which creates a full view of the wine cellar. Mirrors continue to enhance spacing in bathrooms and other small areas. Mirrors are made of 1/4" thick annealed glass, with a silver backing. Standard mirror heights are 36”, 42”, 48”, 60” and 72” high. The maximum mirror width is 120”. 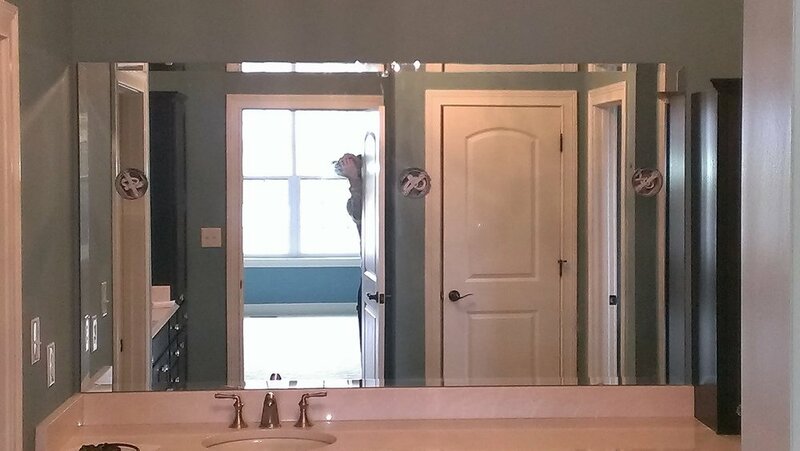 Mirrors can be custom cut to fit almost any application. Holes can be drilled through mirrors but, must be at least 5” from any edge or other holes. Mirrors with drilled holes must be mastic to wall. 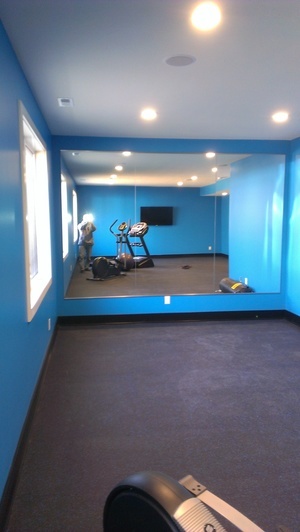 Mirrored walls provide the finishing touches to any exercise room. These mirrors are glued to the wall with a metal "J" track system attached at the top and bottom. Smaller framed mirrors are available in a number of national retailers and throughout the internet. These mirrors are 1/8" thick glass and normally do not exceed 30" wide by 40" tall. Wood frames cannot support the weight of larger mirrors. For large framed mirror applications, the mirror is first glued to the wall, then a perimeter wood frame is attached to the wall. This is a two step process that allows you to create a framed mirror that meets the size and style you desire.